One Week Service if you order now! 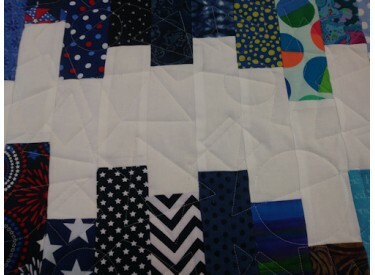 within one week from the day we receive your quilt top and backing. 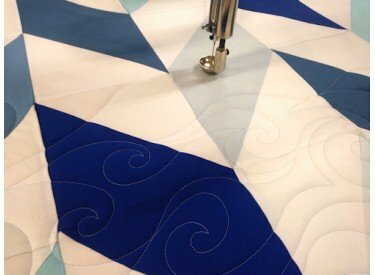 It's easy to order our quilting services online, Start Here to choose a pattern. 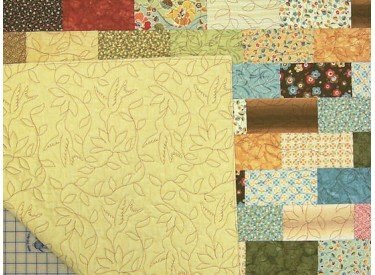 Click on the pattern you like, then enter the size of your quilt on the pattern page. 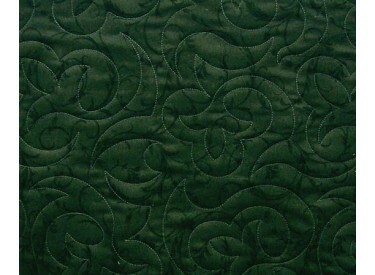 Pick the pattern you want from the category listings of our patterns then "Add to Cart". 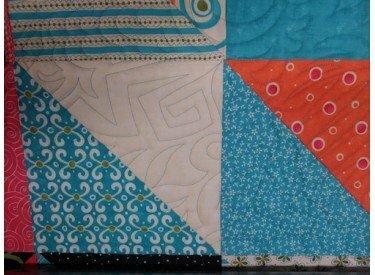 On the pattern page, enter the size of your quilt. Choose your batting and thread color. 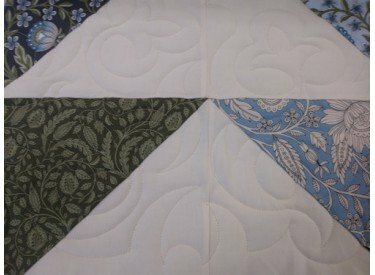 Add your quilt to the shopping cart with the button at the bottom of the page. Click 'Checkout' at top right and complete your order. 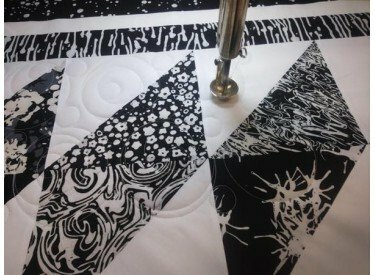 Send or bring your quilt and backing to Northwest Quilting. 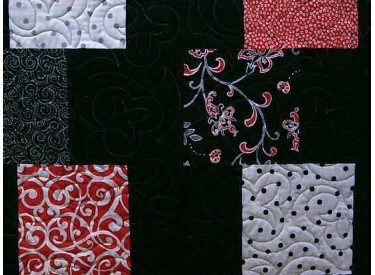 We will professionally long arm quilt it with your choice of pattern, thread color, and batting. Next, we will ship it back to your door! 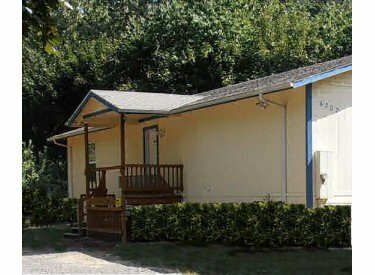 *Shipping to addresses in the United States only $100 loss or damage insurance included, small charge for additional insurance. 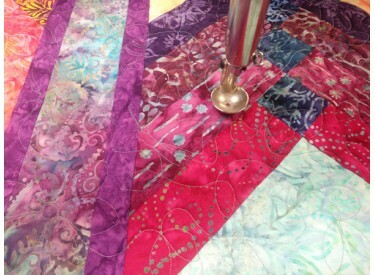 with the pattern stitched past the edge of the quilt top on all sides. the next step is to create a "sandwich". 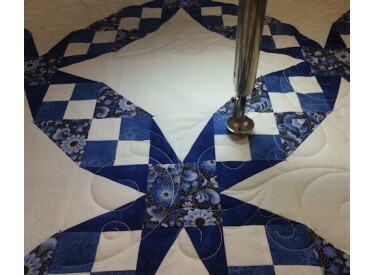 the "sandwich" needs to be have stitching throughout the quilt. 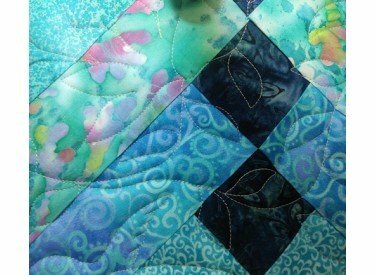 The stitching needs to be 4 to 6 inches apart or closer. 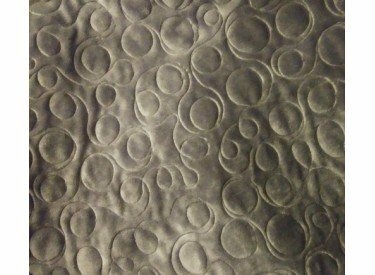 it can easily be stitched on a long arm quilting machine. that is 12 feet long and 6 feet wide. sew head so it "floats" above the quilt sandwich. to a canvas leader on the 12 foot long take-up roller bar of the machine. until the backing is slightly stretched between the two rollers. and the excess is rolled on a bar on the front of the table. 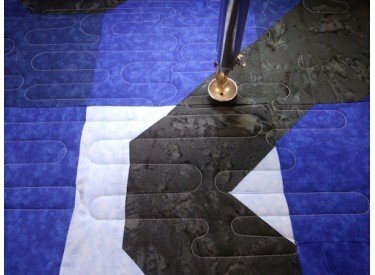 This set-up gives about a 24" sewing area (by the width of the quilt) between the two rollers. 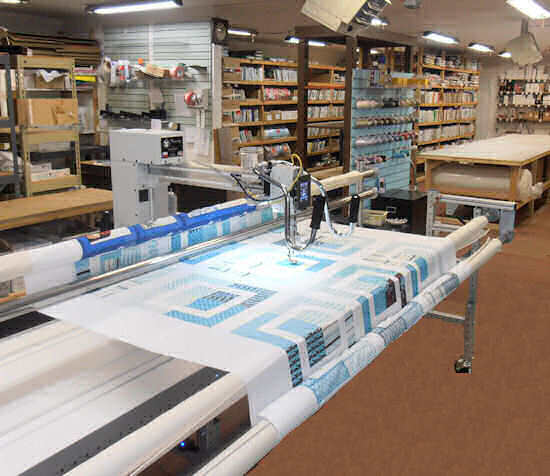 This area is sewn, the finished part is rolled up onto the take-up roller, and the next 24" is sewn. 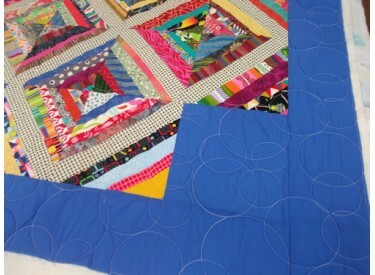 The process is repeated until the quilt is completed. The picture does not show the backing or batting. moving it around sewing where ever it is moved. 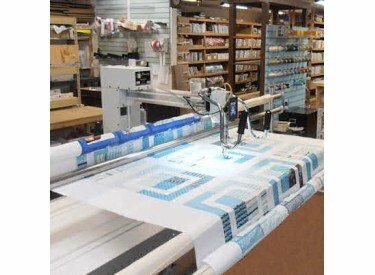 The machine we have is computer controlled and it will automatically sew the pattern you choose. moving the sew head to draw the stitching pattern. 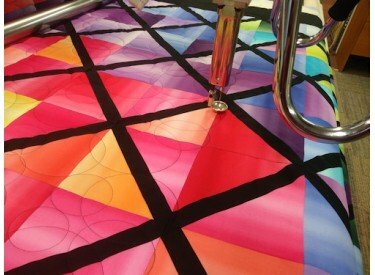 of quilt finishing and giving the customer the ability choose from 100's of patterns for their quilt.